Ya'at'eeh. I many of you know, I am writing a book on the Doctrine of Discovery, and I would like to ask for your partnership. The proposed title of the book is "Truth be Told: The Doctrine of Discovery and the Root Cause of Racial Injustice." I have a co-author; his name is Soong-chan Rah. He is a great friend, a wise theologian, and a professor at North Park Theological Seminary. He has already published several books including "The Next Evangelicalism" and "A Prophetic Lament". I am deeply grateful for his partnership and voice in this project. We have a publisher: InterVarsity Press. For those of you who know me, I have been connected with InterVarsity for most of my adult life. You also know that I have been given a fairly prophetic message regarding the Doctrine of Discovery. I love that on a page discussing their Publishing Philosophy, IVP states that they "Are Prophetic: The large majority of our publications will represent what most evangelicals can readily adhere to. There will be occasions, however, when Christians will need to speak a corrective biblical word to society or to the church at large. InterVarsity Press may find itself in a position to do this, as it has in the past, keeping in mind Paul's mandate to speak the truth in love..."
I have a message with tons of material, content, historical facts, stories and examples. As you have probably seen/read/watched from my social media (FB, Twitter, YouTube, Periscope, Blog and Website) I have been traveling the country for the past 3-5 years teaching about the Doctrine of Discovery and the need for our nation to create a common memory. There is a definite need and a huge potential audience. The month of July 2016 has seen horrific racial violence, frustration, fear, and confusion in our country. #AltonSterling, #PhilandoCastile, #Dallas and #BatonRouge have all taken place within a 2-week stretch, and our leaders have struggled to know how to respond. During this same period my social media has been incredibly active. Less than 3 weeks into the month my blog is already at its highest number of page views ever. 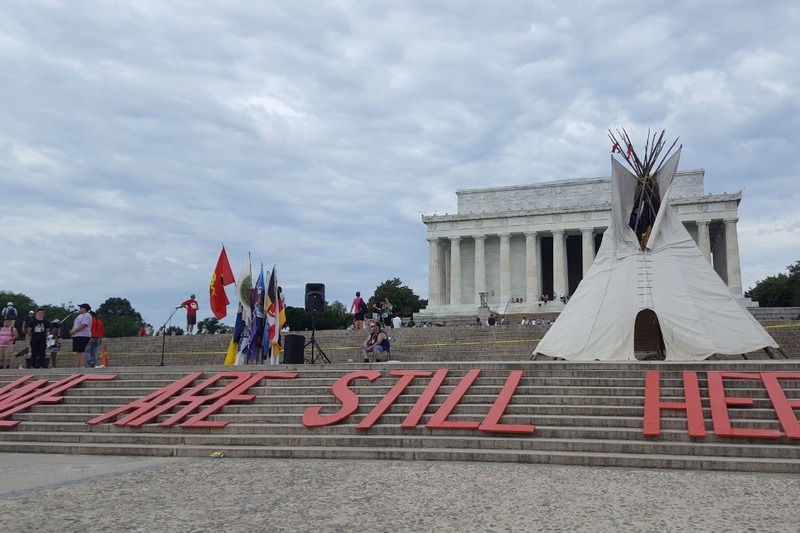 And my articles, posted stories, shared pictures and linked videos teaching about the Doctrine of Discovery and highlighting our need as a nation (and a church) to create a common memory are being shared widely. What I don't have is a stable income. For nearly 2 decades, I worked as a computer consultant and invested in ministry part time. 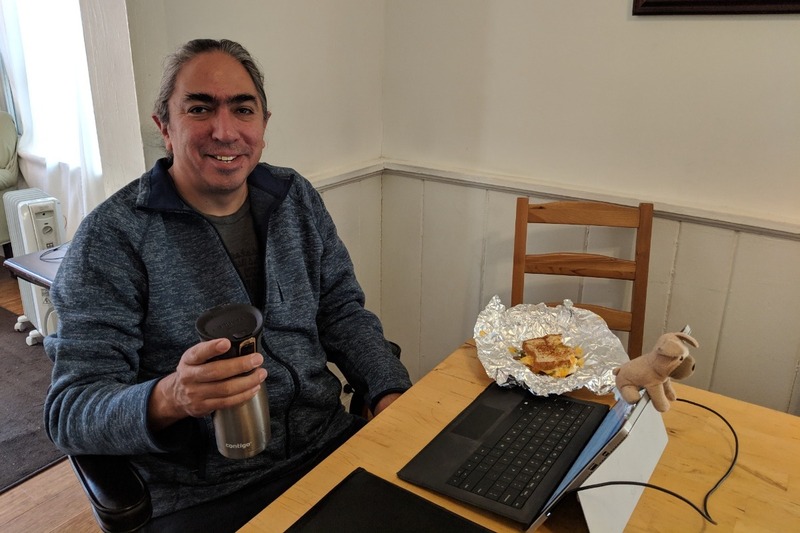 When my last computer contract ended over 2 years ago, my wife Rachel and I made the decision to devote ourselves full-time to initiating a broader dialogue regarding racial conciliation, diversity, contextualized worship, Native issues, and the Doctrine of Discovery. We knew our income would suffer and fluctuate greatly while we worked to establish ourselves. And that has definitely been the case. Things are beginning to show signs of stabilizing, at least during certain seasons, as my voice and platform grow. But there are still several times throughout the year when we have lulls in our income, normally around Christmas and in the summer months. And this year is no exception. I only have 2 paid speaking engagements the entire months of July and August and nothing booked yet for December. This is great in that it gives me plenty of time to write. But it also means that our income drops significantly during those periods. So we decided to crowdfund in order to supplement our income for the rest of the year so I can complete the writing process and get this message published. The estimated release of the book is in 2017. Gifts of any amount are welcome, and I have included some reward levels for those that are interested in supporting this project. Gifts given online through GoFundMe are not Tax-deductible. *If a donor gives more than once, they will receive a single (1) letter of appreciation acknowledging the sum of their gifts and the number of books corresponding to the total sum of the gifts given (I.e. 2 gifts of $50 will result in 1 signed letter of appreciation and 2 signed copies of the book). **Un-signed books will be mailed within 7 days of availability to the author. Books will only be mailed to postal addresses in the USA. ***Signed books will be mailed within 14 days of availability to the author. Books will only be mailed to postal addresses in the USA. Books are normally available to the author before the official release date by the publisher. So you will probably receive you book before it is available elsewhere, but that is not guaranteed. We are still working towards a release date of Columbus Day 2019. This date is a goal but not a guarantee. I will continue to keep you updated as the date gets closer. The most recently added section of our book was two chapters I researched last summer on the heresy of Christian Empire and how the Church got from the teachings of Jesus to a dehumanizing Doctrine of Discovery. I already had a critique of Saint Augustine and Thomas Aquinas, but last August I began reading the writing of Eusebius, the Bishop of Caesarea who baptized Constantine. I wanted to include the story of Constantine's vision at Milvian Bridge (where he supposedly saw a vision of Christ who told him to conquer under the symbol of the cross). That research completely changed my paradigm regarding the role of the Church in the creation of the heresy of Christendom. TEDS: "Whose Blood covers systemic, corporate sin?" New Life Christian Fellowship: "The spiritual price of the Doctrine of Discovery." I continue to be deeply grateful for everyone who has donated to this book project. Your encouragement, support and generosity have definitely helped enable me to do this research and (nearly) complete this book. There is still quite a bit of work to be done, but the end is definitely in sight. Ahe'hee for walking with me on this journey. 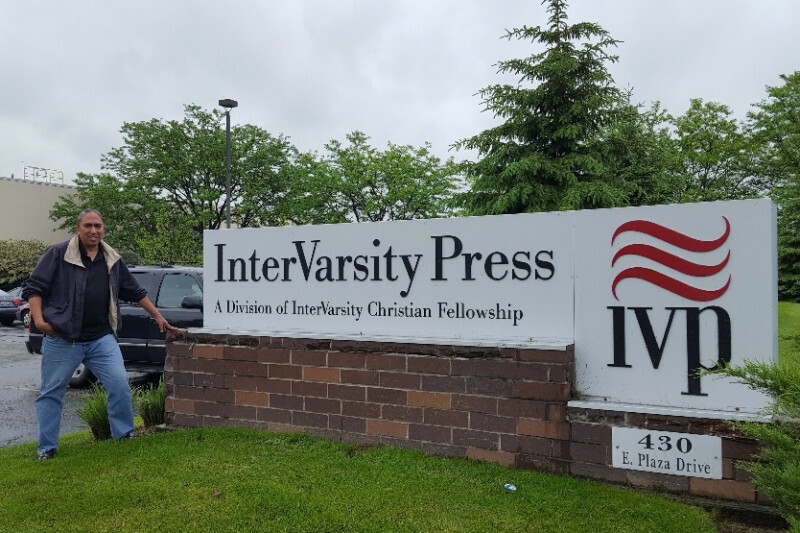 On November 25, 2018 we submitted our manuscript to our publisher, InterVarsity Press! This is a MAJOR milestone and one that could not have been accomplished without the incredible support and encouragement of so many people, especially everyone connect to this GoFundMe campaign. Thank you so much. The process of writing this book has been one of the most challenging, yet rewarding experiences of my professional career. When we first agreed to publish this book through IVP over 3 years ago, I had a good grasp on the Doctrine of Discovery and thought it would only take about a year to complete the manuscript. But so many things happened along the way. First, in November 2016, our nation, with enormous support from white evangelicals, elected an explicitly white supremacist, racist and sexist President. That election prompted Soong-Chan Rah and I to reevaluate the entire flow and outline of our book. Second, in early 2018, I went through a 4 month process of learning about (and lamenting) the blatant white supremacist and genocidal policies of President Abraham Lincoln. And third, in the summer of 2018, just as I thought the manuscript was nearly complete, I came across the writings of Eusebius, which drastically changed my understanding of how the heresy of Christendom was started. All of this learning has been incorporated into our book and as a result the end product is even stronger and (hopefully) more prophetic than we ever thought it would be just 3 years ago. I will continue to update this GoFundMe Campaign throughout the editing process. 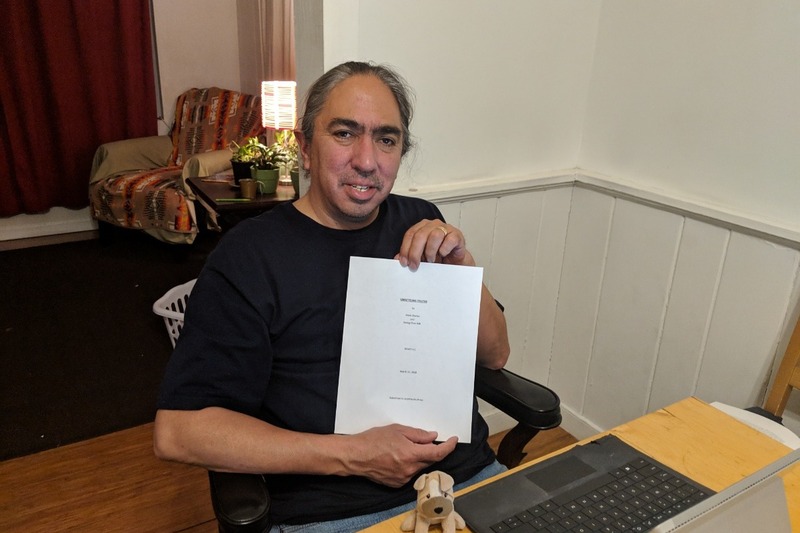 While the first draft of the manuscript is complete, the work is not finished. So you can still donate to the project if you would like. A few weeks ago, I completed writing the content for the final chapter of our book. It felt amazing. There were two particular stories that I knew had to be included but were especially personal, and therefore difficult for me to write. They were stories that I tell occasionally when I speak, but for some reason, the permanence of writing them out and the greater depth that I had to go into for the book, made this final chapter daunting. But I got through it! Now the fun part begins. My co-author and I are working through the end of September to edit the chapters, tighten our arguments and make sure both of our writing flows well together before we submit the manuscript to our publisher. I really enjoy this part of the writing process. And the more I read, re-read (and then re-read again) our manuscript, the more excited I am about having it published. When I first started this project on GoFundMe, it asked me to set a budget. I had no idea how long the writing would take and therefore I didn't have a clue what to set as my budget. So I picked a number that sounded reasonable. Over the past 2 years, Creator has used this GoFundMe project as an incredible supplement to our income, allowing me to focus on my writing during the longer lulls in my speaking schedule (which always come with a drastic drop in our income). And for that I praise God and I also thank each of you who has partnered with me. As I was going over the details of my GoFundMe project the other day, I saw that I had nearly raised the amount I budgeted! And then I did the math for our upcoming income and expenses and realized that if we raised the final $2,500 and reached the budgeted amount for the project, our summer income would be almost perfectly supplemented until my speaking schedule picks up again at the end of September. If this is the first time you have read about my book project, I invite you to read the other updates and to consider partnering with me as I finish this book. If you have already donated to this project in the past. Thank you. I invite you to consider sharing this project with your friends, or on your social media. The journey to research and write this book has been humbling. I am humbled by the dedication of my co-author Soong-Chan Rah. I am humbled by the prayers and encouragements expressed by so many people regarding this work. And I am humbled by the generosity of everyone who has donated both time and money to help me in this endeavor. I have learned so much, I can never go back. About a year ago I posted "We are close to finishing the book!" The chapter I was currently working on dealt with the lie of white supremacy. It took longer to complete than I thought, about 4 months, but by December of 2017 I was ready to conclude it and begin the sprint to the finish line. I was confident that we could submit our manuscript to IVP by Jan or Feb of 2018. One AM in mid-December, I woke up early. There was one last story I wanted to get into the chapter. The story regarding the plaque that hangs at the Lincoln Memorial and states "If I could save the Union without freeing a single slave, I would do it." I had used this quote frequently in my lectures and felt it would give a good concluding example of how even great Presidents like Abraham Lincoln bought into the Doctrine of Discovery. I stared at my screen in stunned disbelief. By his own admission, Abraham Lincoln was a blatant white supremacist. Within 1 hour, my entire opinion of President Lincoln had monumentally shifted. I thought I would finish my chapter on white supremacy that AM, after quickly adding a story I had shared countless times in my lectures, but this quote in the Lincoln - Douglas debates changed everything. I had to digest this. I had to adjust to this new paradigm of understanding. Abraham Lincoln was a blatant white supremacist! I had to lament. That AM began a journey in this writing process that was unexpected. Over the next 4 months, I gained many new and horrific insights into, not only the legacy and policies of President Lincoln but also into the psyche and values of our nation. About a month later, in Feb of 2018, I was asked by representatives of Dr. William Barber, to speak at the Poor Peoples Campaign event that was held in DC on Presidents Day. I only had a few minutes to speak, but I wanted to share some of my research into the white supremacists’ views of Abraham Lincoln. That AM I was home reflecting on what to share. I wasn't doing research, nor was I learning new facts. But I was putting pieces together in my mind. Here are a few of the pieces I was mulling: In 1863-64 US Army Captain Kit Carson marched through the southwest. He destroyed the homes and killed the livestock of our Navajo people. He burned our crops, rounded us up and marched us down to Bosque Redondo, a prison camp where thousands of our people died. This event is known as the Long Walk and is one of the defining moments of our people. All my life I have blamed this event on Kit Carson. He was the one who murdered our people, he was the one who removed us from our homeland. This was his fault. That morning, I reflected on the “Long Walk” in the context of Abraham Lincoln’s presidency and the fact that he was a white supremacist. Abraham Lincoln signed the Pacific Railway act in July of 1862. He ordered the hanging of the Dakota 38 in Dec. of that same year. In Feb. 1863, he signed a bill nullifying the treaties with most of the native tribes in Minnesota. In March 1863, he signed another bill ordering their removal. The forced removal of the Dakota people from Minnesota was completed by Sept. 1863. The Sand Creek Massacre against the Cheyenne and Arapahoe tribes occurred in the fall of 1864 and their removal to Oklahoma was complete not long after. It finally dawned on me. The “Long Walk” was part of a much broader pattern of Indian Removal by the Lincoln administration. Abraham Lincoln was clearing the way for the completion of the trans-continental railway! He was ethnically cleansing MN, CO and NM to complete manifest destiny. That morning, the face of Abraham Lincoln replaced the face of Kit Carson in my mind (and my emotions) as the perpetrator of genocide against my people. And again, just as I had done that morning in December, I sat in stunned silence. How had I missed it all these years? Not only was Abraham Lincoln a blatant white supremacist, but he was also one of the most ethnic cleansing and genocidal presidents in the history of the United States! That 1 chapter on the lie of white supremacy has morphed into 2. One on white supremacy, and a second chapter specifically on Abraham Lincoln. I finally finished those chapters in May of 2018! Not because it took that long to write, but because the writing was interspersed with time to digest and lament. For the past 2 months I have been working on the final chapter and the conclusion of the book. It is going well. Last week I was in Chicago and had a fantastic meeting with my co-author, Soong-Chan Rah. We both feel good about the chapters we have written and are on the same page regarding how to complete the final chapter and the conclusion of the book. We have set a schedule for writing and review as well as a deadline for ourselves. We plan to submit our manuscript by the end of August. I am deeply grateful to everyone who has partnered with me in writing this book. Your prayers, encouraging messages, and financial contributions have helped sustain me and our family these past three years. And I invite you to continue to partner with me these final two months. As I shared when I started this campaign, my speaking schedule is always lighter in the summer. And that is true again this year. I do not travel or speak again until Sept 24. I praise God for the time he has provided so I can finish writing this book. But this also means that our income is below budget until my speaking picks up again in October. For those who have donated in the past, I sincerely thank you. I have your name and addresses on a list, and, according to the reward levels outlined in the GoFundMe campaign, will send you a free copy or copies of the book once it is published. For those who have not donated yet or would like to donate again, I invite you to consider donating to my book project. It has been a team effort, and we are so close. Ahe’hee’. Thanks for the update. I have "read" (i.e. listened to audible versions) of Charles Mann's books 1491 and 1493 - books about the Americas before and after Columbus/Columbian exchange. As you may know the UMC Book of Resolutions has addressed Doctrine of Discovery for past 30 or more years. How would you recommend these resolutions be revised (the resolutions get revised, dropped, or re-affirmed every 8 years)? Finally, how would you address concerns that tribalism, in 2019, is inconsistent with prospects of planet earth of 2019 being other than a burnt-out, depopulated, cinder? I plan to send $50 for you to finish your book and to receive an autographed copy. I will promote a Truth and Conciliation Convention at readings for my book, Paradise Still Has Snakes: seeking Peace in a Nuclear world. We need to get the word out. An idea is a dangerous thing, so seeding the idea of abandoning land tiltles and seeking truth and a real change to the world we are destroying is vital. Indigenous people know how to save the world if we only listen. We stole a bountiful land of beauty a near Paradise. (Now Paradise, California has gone up in flames.) Thanks for sowing the true message Jesus tried to teach us. Judy Plank, LeMars, IA I heard and spoke to you at Northwestern College. I hope to keep in communication to spead your message. 1 free copy of the book (Available in US only). Signed letter of appreciation from me (Mark Charles). 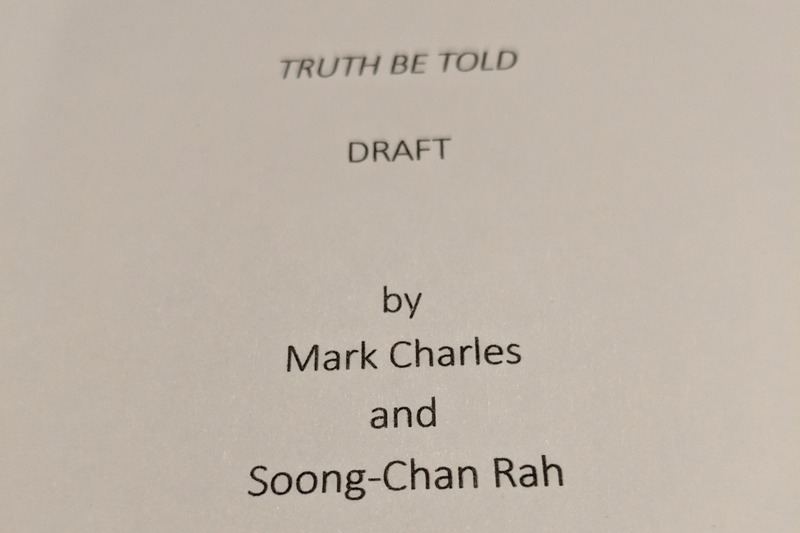 1 free copy of the book signed by Mark Charles and Soong-chan Rah. (Available in US only) A signed letter of appreciation from me (Mark Charles). I saw Mark at an event at Princeton and his voice and perspective is one that needs to be heard.